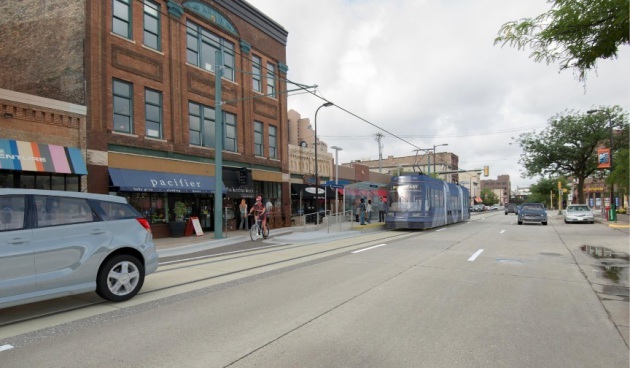 A key Minneapolis City Council panel voted Tuesday to approve streetcars as the preferred method of transit improvement along Nicollet and Central Avenues. The initial line would be about 3.4 miles long and cost around $200 million. About $60 million of that will be funded by a state-approved "value capture district," which allows the city to redirect property taxes from several major development projects that are already underway across the city. The vote of the Transportation and Public Works committee Tuesday is subject to approval by the full City Council next week. 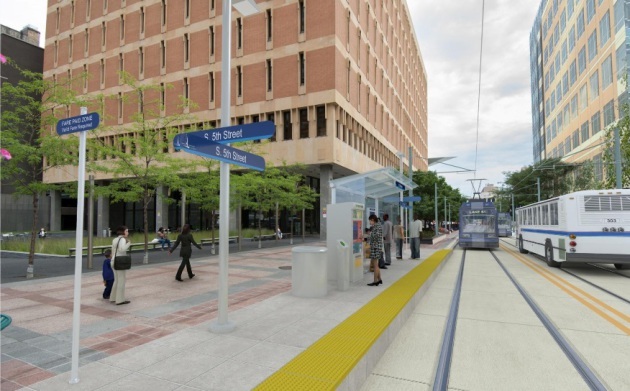 They chose streetcars over enhanced bus, largely because of what committee members felt would be increased potential for economic development. “There’s no place where a bus system has been enhanced enough that people are paying more for the real estate near it, building bigger buildings, bringing more jobs and more residents. It just doesn’t happen," said committee chair Sandy Colvin Roy. The rest of the funding relies on non-city sources that have yet to be identified. The mayor's office says that the Legislature must pass a transit sales tax in order for the plan to work. 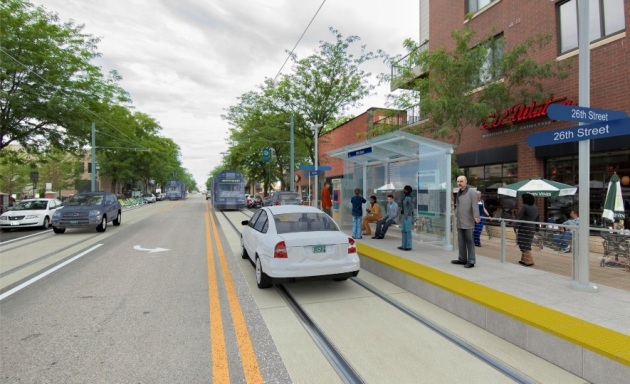 Local Map: Where will Minneapolis streetcars stop? Map: Where will Minneapolis streetcars stop?